Καλώς ήλθατε στην ιστοσελίδα του Β.Γ.Γκεζερλή! "Object library invalid or contains references to object definitions that could not be found"
and "Automation Error. Error (440)"
Our purpose is to grow and better propagate our tradition of the Byzantine Music. Fo this reason the Byzantinografos 2.0 will be given for free. For any question or comments, you can contact the creator of the software in the email listed below. 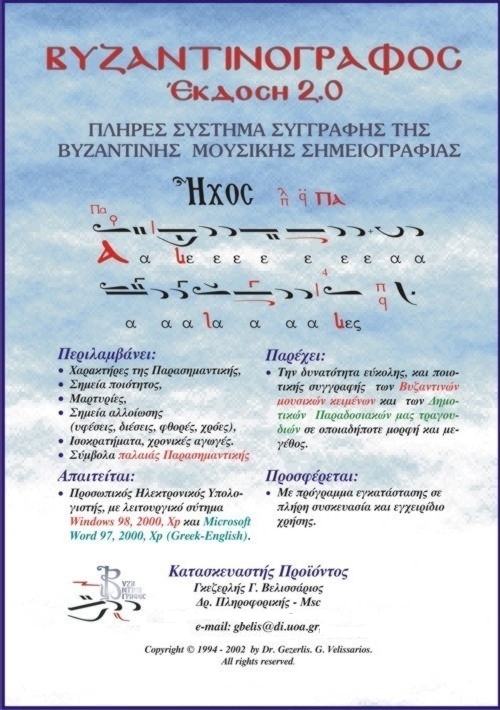 BYZWRITER 2.0 is a new system for writing the Byzantine Music Notation and has been created by Dr. Gezerlis G. Velissarios, University of Athens, Departement of Informatics & Telecommunications, Greece. BYZWRITER 2.0 is a program that works on a PC (IBM Compatible) and needs Operating System WINDOWS Xp, Vista, 7 and the and the Microsoft Word Editor 2000/Xp/2003/2007/2010 (Greek/English Version). With BYZWRITER 2.0 you will have a Toolbar of 25th buttons (see above) in your Microsoft Word environment, that help the user to write all the Byzantine Music Symbols, at any size, using colours (3 colours) and he can very easy form his own psalms and print them to his printer. 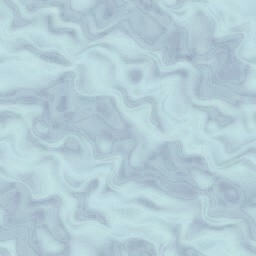 (click here for a sample musical text with BYZWRITER 2.0). In BYZWRITER 2.0 all Symbols of the Byzantine Music Notation have been assigned on the keyboard keys with a special way, giving a quick writing style to the user, who can learn to write using the available tables from the BYZWRITER 2.0 User Mamual (in greek language). Moreover, in this new version more symbols from the old parasemantiki have been included (e.g. tromiko, strepto, isaki, ligisma, tzakisma, piesma, paraklitiki, e.t.c. ), as well as symbols necessary for writing traditional folk songs (e.g. pentagorgo). BYZWRITER 2.0 is a special program for Editors of Byzantine Music Books, CD companies, Byzantine Choirs, Teachers of Byzantne Music, People who love and want to learn Byzantine Music. BYZWRITER 2.0 has been designed after extensive experimentation on the writing style of Byzantine Music Notation and constitutes a complete software having its own installation program and is given FREE OF CHARGE!